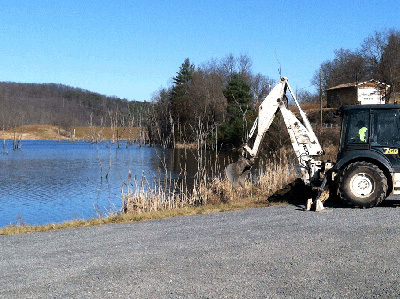 The WV Project CommuniTree planting for Parker Hollow Dam took place during two separate days. The first day, on November 26th, the Division of Highways came with equipment to dig holes for the twelve container trees at the dam. A back-hoe was needed due to the packed soil in the parking lot. Four workers from DOH assisted in this process for a total of two hours. On December 5th, the 12 native shade trees were planted. 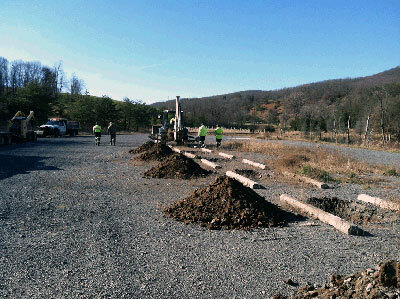 To help plant the trees, two members of the WV Division of Natural Resources, one from WV Division of Forestry, one from Natural Resources Conservation Service, and one from WV Division of Highways, and one from the WV Conservation Agency, for a total of six participants, came to participate. The Weather was excellent and sunny. DOH brought a small backhoe to help add soil to the nine holes in the parking lot that needed the original rocky parking lot fill replaced. 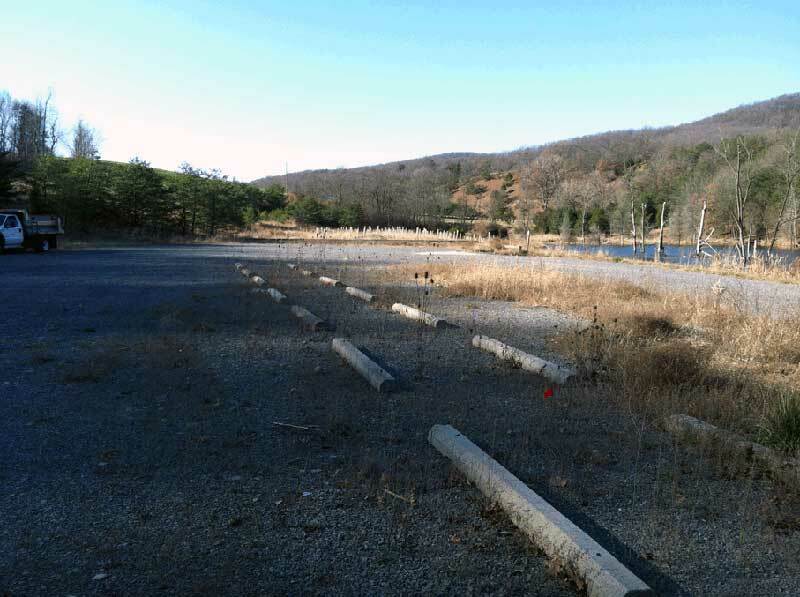 Nine holes were planted in the center of the parking lot with parking barriers placed on either side of the trees. 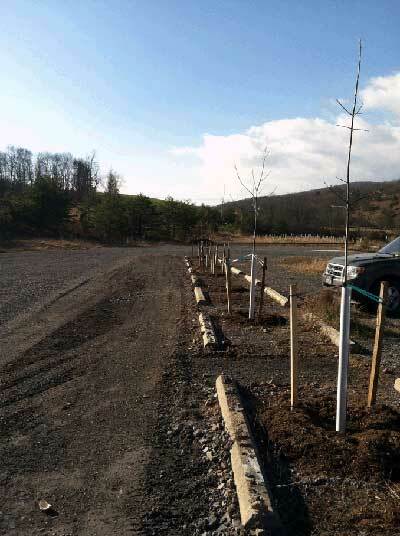 Three trees were planted near the "shore" of the dam on the side of the parking lot. All trees are very visible to those entering the parking lot and the dam access area.